We solve mysteries! We expose corruption! We catch thieves! We answer questions! When you select a private investigative firm to find the answers you are looking for it is important to choose a firm with a mission of expertly solving mysteries for clients. We understand how dangerous ignorance can be. Want to know who is watching you, or if you can trust what someone important is telling you? Then N.C. Premier Investigations is the answer. Contact us today to schedule a consultative needs analysis, and start living in the light of knowledge. Crimes against persons are a special area of concern to many of our clients. If you or someone you know is dealing with the threat of physical violence, you know how stressful it can be to keep up with daily activities. Our Executive protection services help restore that sense of balance that comes from feeling and being protected from attack. Contact us to discuss your options. Our divorce investigation services can help you to protect yourself in your divorce in regards to money and children. We have the provisions and the knowledge to confidentially find hidden money, prove infidelity, and to obtain evidence to support your custody case. We provide our clients with asset searches for a variety of purposes. When it comes to locating assets, our experts have the ability to locate bank accounts, stock, real estate, vehicles, and any other assets of value. We have the sources to legally obtain a variety of information, providing asset location, asset tracing, asset recovery, general financial investigations, bankruptcy fraud investigations, money laundering investigations, and embezzlement investigations. Our professional investigators have the ability to investigate your concerns about a potentially unfaithful significant other. Whether you feel as though your partner is in a physical relationship with another person or in a virtual relationship with someone on the Internet, our team can investigate your concerns to provide you with the needed information. When you need facts and evidence to build your custody case in court, we can help you to obtain information to support the understanding that your child would be best suited residing in your custody. If your ex has bad habits or poor tendencies, we can help to obtain proof of this to aid in your child custody case. Criminal Investigations: In a criminal case, reasonable doubt is a primary focus in our investigative services. We can help you to establish your case by finding evidence to support your criminal defense case. This includes finding physical evidence at the crime scene, uncovering police investigation mistakes, discovering contradictions in witness testimonies, exposing withheld exculpatory evidence, locating missing witnesses, and more. Is your ex living with someone else? We can provide you with the evidence needed to overturn an alimony order! Missing Persons Investigations: We can help you to find persons long lost, including an inept father, a birth mother, a family member, or a long lost friend. We have access to resources that can help us provide you with the information that you’re looking for. We offer witness interviews, approaching the witness as an objective third-party contact. This allows us to develop the facts of the case, rather than prove the client’s theory of how events occurred. Our investigators are fully trained in every aspect of witness interviewing and are permitted to conduct field interviews for an array of purposes. We also can legally deploy GPS tracking efforts in conjunction with our video surveillance services. Our private investigators can help you to assess your individual case to uncover the truth in your employee’s work-related injury. If you suspect that one of your employees is falsifying a compensation case, we can help to reveal red flags suggesting their fraud. We provide high-quality evidence to prove the behaviors and physical conditions of the claimant. Using the latest electronic surveillance equipment and technology, we can provide you with monitoring and security to meet your needs. When you are concerned that you are being stalked or followed, have received personal threats, feel as though your spouse is being unfaithful, or feel that you need monitoring and security for your property for any reason, we have the ability to process questionable activity and will present any discoveries during our investigation to you directly. Video Surveillance: We have the repertoire of equipment and knowledge to unsuspectingly keep tabs on an individual’s activities. Video surveillance can be a very useful tool in many types of investigations, including family law, fraud investigations, and more. of legal documents of all kinds. NC Premier Investigations: providing investigative services to the general public, insurance companies, corporations, and small businesses. At NC Premier Investigations, we are a full-service firm, delivering a unique approach to the private investigation profession. Our investigators handle each of our client’s cases with professionalism, experience, and integrity. No matter the nature or complexity of your case, we would be happy to help you. Our services are available 24/7, statewide in North Carolina, and we also travel to the states of South Carolina, Virginia, Tennessee, Georgia, Louisiana, Florida, and California to conduct or continue investigations if the case originates in North Carolina. 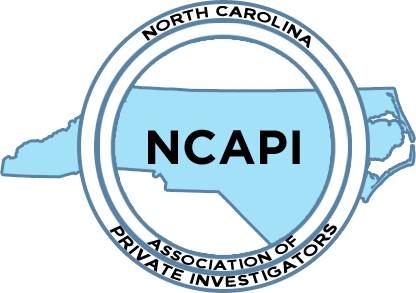 We are a proud member of the North Carolina Association of Private Investigators. Since 2013, NC Premier Investigations has provided Greenville, NC and the surrounding areas with extensive investigative services. We are licensed, fully insured, and capable of solving the most complex cases. We have both male and female investigative members on our team to meet the needs of our clients, approaching each assignment with a focus on truth, advocacy, and understanding.